The other day I came across some disturbing statistics on reading. According to a Jenkins Group survey, 42 % of college graduates will never read another book. Since most people read bestsellers printed in the past 10 years, it follows that virtually no one is reading the classics. SodaHead Opinion Poll: Are you getting an iphone tomorrow? It's hardly surprising that Don Quixote still captivates Spain, his birthplace. Nearly half a millennium since he sprang into being on a Madrid printing press, he is the country's most famous trademark (now rivaled by the Real Madrid and Barcelona soccer teams). Author offers tips on Hispanic market: Hispanics live in English, but feel in Spanish, Cancela says in his book. SO TRUE! Previous winners include Mario Vargas Llosa, Günter Grass, Doris Lessing, Arthur Miller and Paul Auster. ... The Mexican writer Elena Poniatowska has been awarded the Rómulo Gallegos prize for literature for her novel “El Tren Pasa Primero” (“The Train Passes First”), The Associated Press reported from Caracas, Venezuela. The book tells of a railroad worker who engages in the struggle for labor rights in Mexico. The prize, awarded every two years for what is deemed to be the best Spanish-language novel, was created in 1967 and named for the Venezuelan novelist and former President Rómulo Gallegos. I've been officially tagged by Urban Thought (how sweet!) over at blog.urbanobservation.com. It's my first time too so I'll do my best to post some interesting stuff since my only other alternative is a lonely but fly hotel room in the middle of nowhere, Virginia. 1. Each player must post these rules first. 2. Each player starts with eight random facts/habits about themselves. 3. People who are tagged need to write their own blog about their eight things and post these rules. 4. At the end of your blog, you need to choose eight people to get tagged and list their names. 5. Don’t forget to leave them a comment telling them they’re tagged, and to read your blog. 1. I'm multilingual, I'm perfectly fluent in both Spanish and English, I got a 99 on my Spanish HS Regents Exam. I also studied two years of French and one of Italian. Parla Italiano? 2. 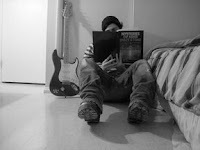 Books are really sacred to me, it makes me quite sad to see torn, or scribled on books. When I finish reading a book, it still looks mint. No bent corners either. Throwing away a book makes me cringe. 3. I tend to idealize people I admire and place even my friends on pedestals. Some might call me loyal, some naive. 4. I believe there is beauty to be found within everyone, and every living thing. 5. I feel exhilarated after meditating. 6. Looks don't turn me on, nor does money or status symbols. I'm more impressed by sensitivity, brilliance and integrity. 7. I'm addicted to reading blogs. 8. Last but not least, I have never ridden a rollercoaster and feel like I probably never will. Summer Clearance at Barnes and Noble - tons of books for $2! At all 3,478 Wal-Mart stores across America on Saturday, June 23 from 10 a.m. to 4 p.m., to teach, encourage and inspire women to take control of their health, and share what they learn with their loved ones. Women attending the Speaking of Women’s Health Community Event, one of the largest single-day, free events focused on female health and wellness, will receive complimentary product samples from Speaking of Women’s Health’s national sponsors and a FREE book, Love Notes to Our Moms and Other Women of Influence. The book includes letters from successful female leaders and celebrities such as Dr. Peeke, Florence Henderson, Mary Wilson, Chef LaLa, and Dottie Peoples. The book is filled with health, well-being and personal safety information, from baby care to menopause, exercise to nutrition, and allergies to heart disease. It's Lil Late but Literanista is Officially 1 Year Old!! It helped land me a new job, new friends near & far, worldwide and so much more! I invite you all to celebrate with me! I hope to celebrate many more! "My grandfather…tried to forget his Mexican roots, because he never wanted his kids to be made to feel different in America. He and my grandmother didn't speak Spanish to their children. 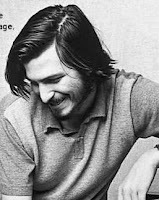 Now, as a third-generation American, I feel as if I have finally cut loose." I understand that people have a desire to assimilate and be accepted for who they are rather than what their ethnicity is. 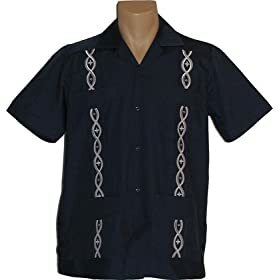 But talking about how proud you are to be a part of the generation that was finally able to get rid of that whole "Mexican" burden is fucked up on a variety of levels, each riddled with more shame than the one prior. Zapata's mustache just fell off in Heaven. for a very passionate and well spoken comment on Jessica's statement. I just came accross guanabee.com/ and love it! It's like a literanista w/o the lit part! Ooh, tonight is the start of the new Top_Chef_2. I think judge, Tom Colicchio is so hot! Discovery en Español, the leading provider of high-quality, real-world Spanish-language programming, will premiere an original ground-breaking production - VIVIENDO EN LAS SOMBRAS - that puts the immigration debate under the magnifying glass at a time when the issue is front and center. This compelling documentary brings the debate to life, like never before, through the real-life profiles of illegal immigrants as they struggle to raise their children, earn a living and dream of a better future. VIVIENDO EN LAS SOMBRAS will premiere on Discovery en Español on Sunday, June 24 at 9:00PM ET/PT). This song makes me wanna put my sunglasses on and push some big wheels, down the street! RIP: Don Herbert, who was Mr. Wizard, passed on yesterday at 89. God, I loved his show! Science geek 80s kids cry worldwide. Univision's New Online Portal: Univision has launched a video portal on its site, Univision.com, through which users can access a selection of clips from Univision TV shows, interviews with Hispanic celebrities, music videos and news clips. It will also be launching a new social networking service, and has also launched a wireless video subscription service through Univision Movil. Now excuse me while I get this coffee off my dress! 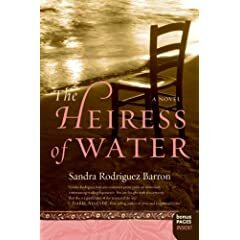 The Heiress of Water, won the 2007 International Latino Book Award for “Best First Book.” The award, also known as the “Mariposa Award” was announced at Book Expo America, the largest book publishing/booksellers convention in the U.S. The competition included titles from the U.S., Spain and Latin America. http://chazmena.blogspot.com/ is working on a a one-man show about Jose Marti. Check out the blog for more info! www.tengopride.com is a website, that launched last week, where Puerto Ricans can purchase fashion forward and authentic Alianza Latina de Béisbol merchandise to demonstrate their cultural pride and celebrate their heritage during National Puerto Rican Day Parade festivities. This one goes out to - me! I just saw this video and the song gave me goosebumps! Yea, women use gadgets too, duh! Thanks for noticing...it's only 2007! So, it's hot and nasty out, and the city will be in a prideful chaos as jubilent Puerto Ricans all over Gotham celebrate the bonita bandera that depicts Borinquen this weekend, meanwhile back at our desks, me and some of my friends have a tendency to email one another constantly throughout the workday, and one of our favorites egames is called "Hot Man Friday" where we just nominate hotties to check out! Now, on a typical day I'm not impressed, especially by pretty models, but this one sent to me today, knocked me out! Check out Tiago Riani, hottest (Brazilian) specimen on the planet! And, if you happen to know him, hook a sister up! Que viva Brasil y que viva Puerto Rico! They really want our votes, huh? The two Spanish-speaking Democratic candidates, New Mexico Gov. Bill Richardson and Connecticut Sen. Chris Dodd, jumped at the opportunity this week to debate in Spanish on the Univision television network. who it seems also has a new book out soon, Why They Call Me Clemente. Evans and Madan recently bought Booksmith and plan to use the community and resource center as a foundation for the multimedia bookstore. They want to add kiosks and create a dedicated events space with multimedia capability in the 3,300-sq.-ft. store. The Booksmith recently started video-recording events and is doing podcasts, and technology is key to the bookstore future. "They are highly skilled in technology," Frank said. "Their energy is amazing, and they really want to take Booksmith to the next level." In February, Evans and Madan launched www.litminds.org, an interactive Web community where readers, authors and booksellers gather to talk about their reading lives. Evans said the site gets 800-1,000 visitors a day and has grown 50% every month since the launch. "We've had over 25,000 unique visitors to date," she said. Evans called www.litminds.org a sister company to the Booksmith and explained that it offers a global social reading-related experience while the bookstore continues to focus on "being a really great neighborhood bookstore." This' one for you, Ed! Mami and Tia: Ready, Set, Go! Miami, FL--(HISPANIC PR WIRE)--June 5, 2007--Coinciding with the luckiest day of the century, 7/7/7, is the launch of an original offering in programming and production, Shop Latino TV, the only Spanish-language shopping channel focused on the Latino communities in the United States and Puerto Rico. Shop Latino TV is the result of a strategic partnership between Grupo Innova, a television sales leader in Mexico and Latin America, and Home Shopping Hispano of the United States, joining forces to take part in a business that generates over $7 billion in annual sales for its main competitors, QVC and HSN. Shop Latino TV is ready to take a big piece of the pie, serving the proven growing Latino population and their particular needs. According to Shop Latino TV COO Ciro Espinosa, "given the current pace of life and in the ongoing quest for balance between life and work, Latino consumers have to find new ways to shop faster, conveniently and safely. Shop Latino TV offers the best value and the support of leading brands identified with the Latino needs. Made by Latinos for Latinos we strive to position ourselves in the market not as a mere shopping channel, but rather as a gigantic store that offers every home an immense variety of top-quality products at truly attractive prices. To do this, we have a distribution platform strategically located in Los Angeles, Miami, and Puerto Rico, in order to consolidate product deliveries as quickly as possible. Shop Latino TV, developed a proprietary order processing system, allowing capability of 450 initial points of call reception to provide the personalized first class service our customers deserve in both English and Spanish." My sister, who's a teacher, is a self-professed pen freak. I just saw these chic Jordi Labanda Animal Pens and I know she would love 'em! A chic, stylish writing instrument from renowned Spanish illustrator Jordi Labanda. Clip features the sassy urban girl that is his signature motif. Fabulous packaging makes this pen an elegant gift. Also available in pink or green "reptile." The '07 ALMA Awards are on NOW! And Prince and Sheila E. are bringing down the house!!! Congrats, Stevie J., you've come a long way! A writer of gay mystery novels and staff attorney for California Supreme Court Justice Carlos Moreno wants to become the state’s first openly homosexual appellate court justice. I came across this book this morning: Adam's Curse: The Science That Reveals Our Genetic Destiny by Bryan Sykes. It looks like such an interesting read, I've always loved science and especially biology and evolution and I love it when scientists turn the world on its head. I took a yoga class today after work, and even though I had a really bad start to my day and a crappy workday, I felt so invigaroted after my class. I'm so glad I treated myself to this, it was neat. Speaking of lovely, I had a grand time yesterday, my best friend threw a little biz soiree for her friend's who are getting their sidehustles on, and so I went and made new friends and picked up some very cool jewelry and also got a taste of an awesome mocha tonic drink that will get you crunked w/o the caffeine. Feel free to check out their sites and try their wares for yourselves! 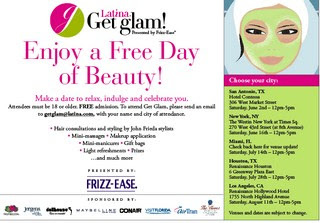 Free Day of Latina Beauty! Honor Jose Marti - Publish Your Own Legacy! In memory of Jose Marti, the renowned poet and writer, Lulu.com is inviting you to honor his legacy by creating your own legacy — publish and pass it on! Lulu.com is a Website that allows users to self-publish and sell their works while retaining complete editorial and copyright control. Publishing books on Lulu is free and easy, and the Lulu marketplace provides a venue for your book to find its perfect audience. AOL Latino, the leading bilingual portal for U.S. Hispanics, today launched Latino AIM Pages (http://latino.aimpages.com), a social networking service built on the popular AIM platform that lets Hispanics connect with friends and family in new ways. - updated weekly by Sanchez - for her new movie "Yellow" (http://yellowthemovie.com). The film is scheduled for theatrical release on June 22.